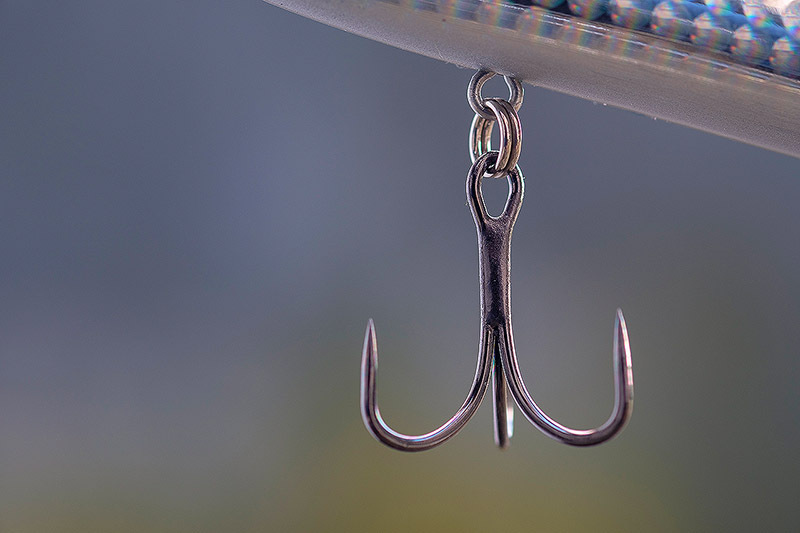 I have put together a list of the essential bits and pieces that outside of the rods, reels, lures and clothing are the things which make my own fishing that bit more efficient. Current as of November 2018 - I will amend this date if there are any changes to my go-to bass gear below. I have used the HPA Chest Pack for a long time now as my lure carrying system and I can’t find anything I like more. I wear it around my waist and I clip on a camera strap to use as a shoulder strap with this bag. I carry two of those 20 x 15 x 4.5cms washable lure boxes in mine. Plenty more details can be found here. Ever since I first started using the HPA Chest Pack, I have worn it around my waist on a Simms Neoprene Wader Belt that I think I bought out in Canada many moons ago now. You can get them in the UK. When I need to replace a treble or a single hook on any of my hard lures, I am now using the rather brilliant VMC 7554B BN (Black Nickel finish) 2X-Strong Inline Barbless Treble and VMC 7238 BN Inline Single Barbless in size 1/0. You can find more details on these hooks here. 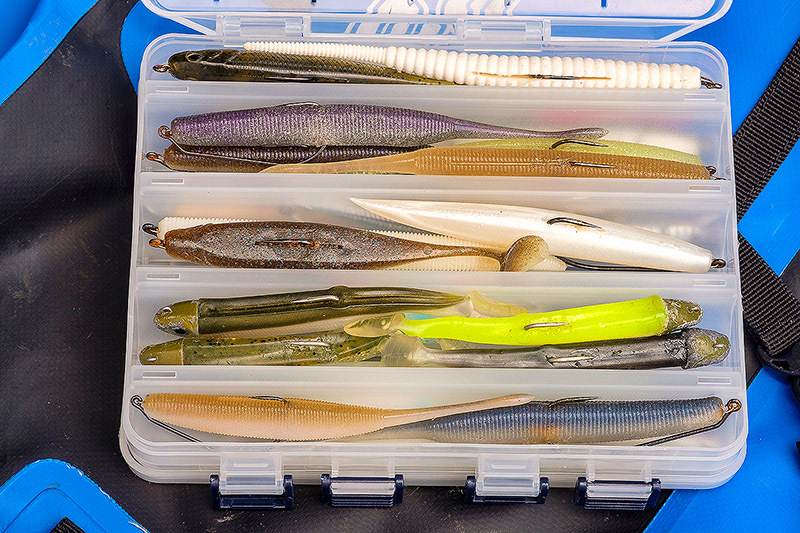 I carry one of these washable lure boxes with me and I fill it with various hard lures. This box fits perfectly in my HPA Chest Pack in an upright position. Plenty more details here. You can buy these here in the UK (Ebay link). My second lure box is this rather clever configuration of a regular washable lure box, and I use it for all my soft plastics plus those few 140mm+ hard lures that won’t fit in my other lure box. This box sits lengthways next to the other one in my HPA Chest Pack. Plenty more details here. What do I need to say about Costa del Mar polarised sunglasses that hasn’t been said already? The best, end of, and if I had to choose the one frame and lens colour it would be the Permit frame with the awesome 580G Green Mirror lenses. Plenty more details here. You can find a good selection of Costas here in the UK. 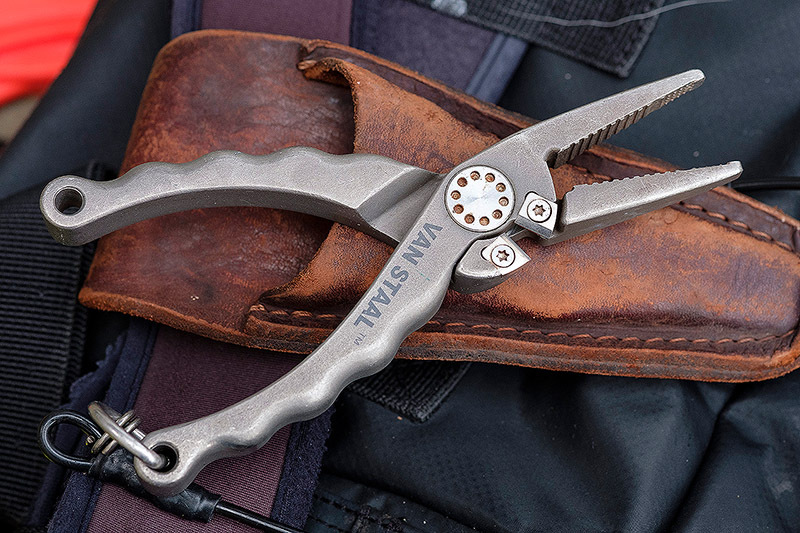 Horribly expensive, but these beautifully made Van Staal titanium pliers are as free and easy to use as they were when I first started using them four years ago. They also cut braid and fluoro just as well. Regular and intensive saltwater use and these pliers are honestly as good as new. Brilliantly simple, this HPA 40 litre waterproof rucksack just isn’t letting me down. Easy to carry, it keeps my camera gear and clothing etc. all nice and dry whatever the weather, indeed I can’t fathom how the fishing we do is really possible without a decent waterproof rucksack. Full review here. This Nitecore NU25 is now my go-to headlamp for my bass night lure fishing. Perfection if you ask me, and the fact that it costs under £40 is a complete steal. Full review here. You can buy this headlamp here in the UK (Ebay link).